Become a local Superhero - inspire your company to get paid to recycle! Balcones Resources makes it really easy! Michaelle Connelly with from www.BeAGreenCompany.org tells us all about these compostable products and why we should use them! Check it out! Offices around the globe are starting to take part in corporate social sustainability! And honestly, it's about time! We all like to make our homes and offices look as nice as we can. But why waste water on plants that don't serve much purpose?! Instead, try landscaping with edible plants that can be consumed when they are ready to be harvested! Sweet potatoes grow beautiful ivy; basil grows lush flowering bushes; and lettuces of all kinds are all-natural sculptures of art. So try making living art through edible landscaping this season and taste the goodness! Let's face it. Most of us have some extra clothes laying about in the house. In fact, there's probably a little too much. And there's bound to be that sweater in the closet that you're never going to wear. Sure, it looked good in the store - but when we got home it didn't fit as well as we thought it did. Oh, I'll wear it just as soon as a I lose a little weight. Yeah well, while it's good to have a fitness plan in mind - it's time to let that sweater go to someone who can use it NOW! Perhaps the reason it looked so good to you in the store was because it is the perfect gift to give someone who can get far more use out of it than you can! It's simple. Just take a look in your closet once a season - take out the prior seasons clothes that you wore the most infrequently (or not at all). Donate them to organizations like DressForSuccess. That way your office can take part in the corporate social sustainability movement! Dress for Success is a non-profit worldwide organization that is dedicated to improving the lives of women located in tons of cities across 17 different countries. In addition to professional clothing, DressForSuccess offers employment retention programs and ongoing support to empower women to be self-sufficient and successful in their careers. This is not a paid endorsement. 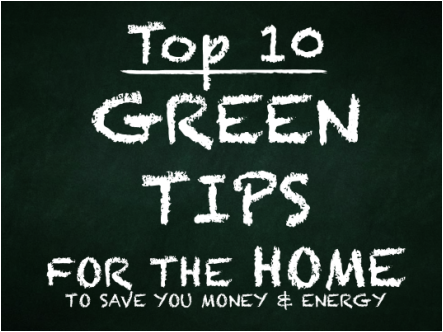 GreenTipGuy simply recognizes great companies and great causes that deserving of a little green light to shine upon them! Let's face it - paper was so last century! And yes, many centuries before that. But it's time we leave trees to produce oxygen for us - and start reading our textbooks and sci-fi novels on the eReader! There's no need to waste all that energy and water to produce all that paper - when the eReaders of today can be repeatedly used time and time again. You'll be ensuring that your business savings can go back into your pocket & you can rest assured that you're helping to increase your energy efficiency! Be sure to always consult your Energy Manager. If you don't know what an Energy Manager is - then it's high time you find out! Then, it's high time you get one! Then, it's high time you consult with your newly hired Energy Manager! While human populations continue to grow - our supply of fresh water continues to diminish. With more demand and less supply, the price of water can only go up. Collecting free rain water just makes good sense! And here's how you can recycle water! After doing some preliminary research on rain water harvesting, I still had a bunch of questions...and I wanted them answered immediately. So I contacted the Rain Ranchers - a father-daughter company - that specializes in Rain Water Harvesting systems that range in size from residential to retail use!